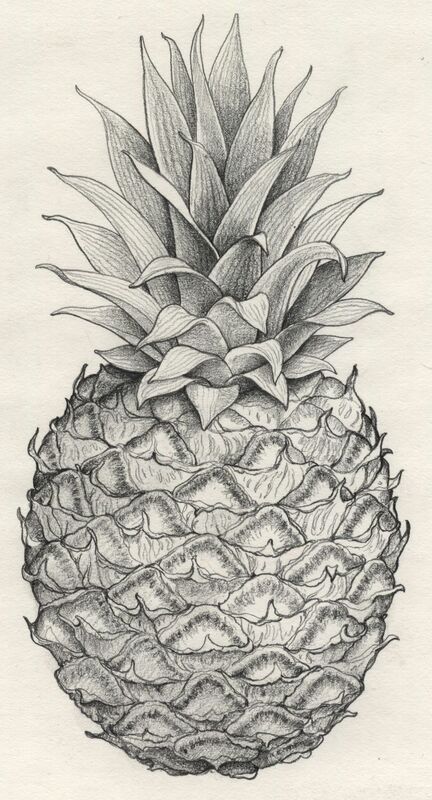 I have always thought pineapples were interesting, so being up against a deadline for an ad in The Workbook I chose a pineapple drawn from one my wife brought home from the store. 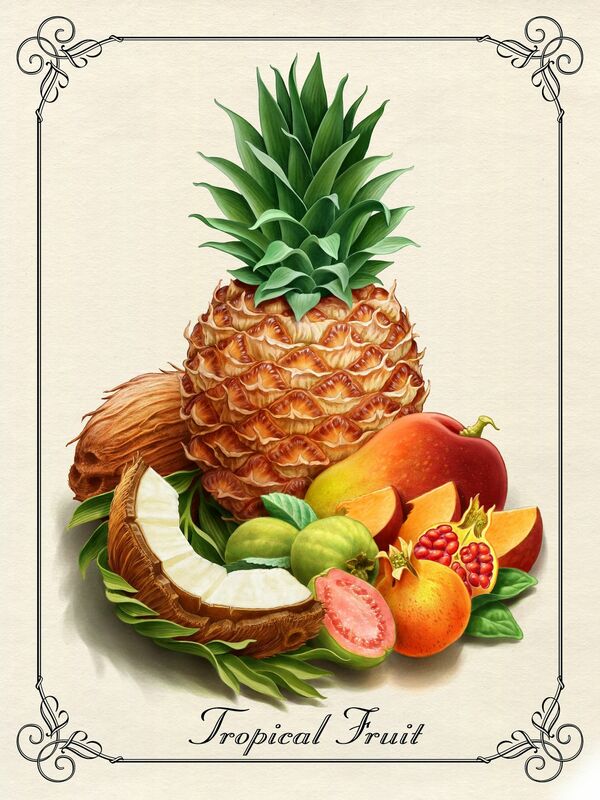 But like most pineapples, the proportions were a little outlandish for my use. So I took a little artistic license and tried to capture its essence rather than it’s literal shape. The other elements in the painting were all existing images I had painted for past projects, and assembled in Corel Painter.